Urinary incontinence is the involuntary leakage of urine. While it’s a pretty common symptom (you’re not alone! 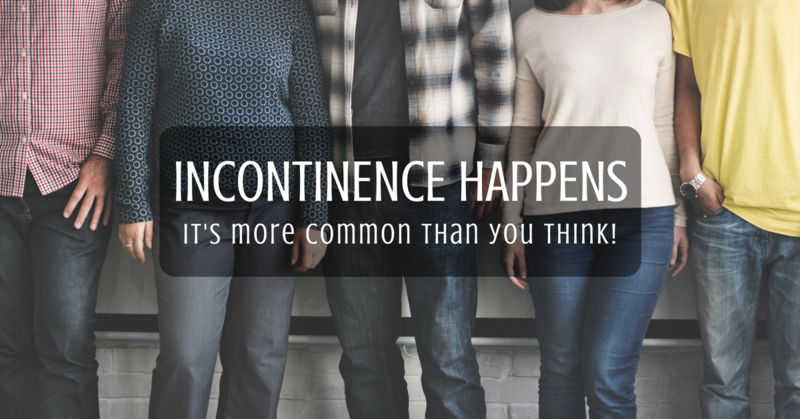 ), urinary incontinence also isn’t considered a normal part of life. There are a variety of treatment options that can help you find relief from your symptoms. Stress incontinence is leakage that results from weak pelvic floor muscles that let urine escape. (2) This usually occurs when you’re exercising, coughing, laughing or sneezing. Urge incontinence is when patients feel an urge to urinate but have difficulty making it to the bathroom quickly enough. Sometimes triggers like running water, unlocking the house, or pulling into the driveway can cause this type of incontinence. The treatment plan that your doctor recommends will depend on your individual symptoms and goals. Some patients have the symptoms of both stress and urge incontinence, and their treatment plan may require a combination approach. Strengthening your core muscles and pelvic muscles by performing Kegel exercises can help patients regain control of the flow of urine. Most of the patients who work with a pelvic floor physical therapist at Virginia Urology show improvement in their symptoms. It is important to note that our pelvic floor physical therapists are licensed medical professionals. While there are no FDA approved oral prescriptions for stress incontinence, a urologist can administer an injection with a “bulking agent” that narrows the urethra (the tube that carries urine out of the bladder) to prevent leakage. For patients who are overweight or obese, weight loss can have a significant impact on the reduction of symptoms. The surgeons at Virginia Urology also offer surgical options that can remedy stress incontinence symptoms. The primary methods involve using a sling (either made of mesh or from the patient’s own tissue), to provide additional stability for the urethra to prevent leakage. You can work with the in-house physical therapists at Virginia Urology to strengthen your pelvic muscles and retrain your bladder to help reduce the frequency and urgency of symptoms and adjust . In addition, there are oral medications that can help to improve symptoms. Botox therapy is safe and effective option that improves symptoms for between 60% and 70% of patients. One treatment lasts between 6 and 9 months, and the procedure is done on an outpatient basis in about 5 minutes. Your urologist can also implement nerve stimulation, which can help to recalibrate the signals that pass between your brain and your bladder to correct the unnecessary urge to urinate. Whether you’ve been dealing with urinary incontinence for weeks, months, or years, there is hope. Call Virginia Urology today to make an appointment.